Fidelity Select Utilities Portfolio (MUTF:FSUTX) seeks growth in capital. FSUTX invest the majority of its assets in securities of companies primarily involved in the utility sector and companies deriving a large portion of their revenues from their utility operations. FSUTX offers dividends & capital gains twice a year in April and December. This Sector – Utilities product has a history of positive total returns for over 10 years. Specifically, the fund has returned 9% over the three-year and 10.9% over the five-year benchmarks. Fidelity Telecom and Utilities Fund (MUTF:FIUIX) seeks returns through growth of capital and income. FIUIX generally invests a major portion of its assets in securities of companies from both telecom and utilities. The fund invests not only in U.S. companies, but also in non-U.S. companies. FIUIX is a non-diversified fund. This Sector – Utilities product has a history of positive total returns for over 10 years. Specifically, the fund has returned 6% over the three-year and 9.2% over the five-year benchmarks. AllianzGI Global Water Fund (MUTF:AWTAX) invests a bulk of its assets in common stocks of companies, which are included in one or more key indexes like the S-Network Global Water Index (Composite), the NASDAQ OMX US Water Index, the S&P Global Water Index and the Global Water Index. The fund seeks capital growth for the long run by investing in companies involved in water-linked activities. This Sector – Utilities product has a history of positive total returns for over 10 years. Specifically, the fund has returned 5.7% over the three-year and 7.1% over the five-year benchmarks. 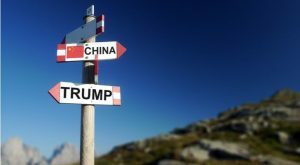 Article printed from InvestorPlace Media, https://investorplace.com/2018/07/3-utility-funds-us-china-trade-war-heats-ggsyn/.